Taking screenshots of a website directly through a browser is not possible if you are not using Firefox, or using any Online tools to capture screenshots! Apart from that, if you are a webmaster and need to take screenshots of websites regularly, you can’t always rely on the online tools. Using a tool is always better than these tools/plugins or through browsers. For mac users the best tool is Paparazzi. Paparazzi is a tiny tool that helps you capture screenshots of websites for Mac OS X users. It’s written in Objective-C using the Cocoa API and the WebKit framework. Just type the website URL, and specify the dimensions of the website screenshot that you want to the minimum. 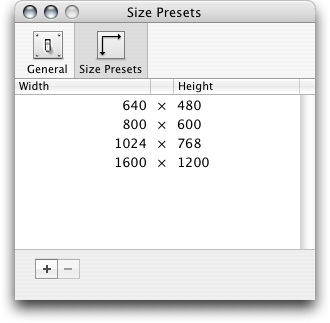 You can also specify how much crop percentage you need. You can save image in any format, and hit capture. 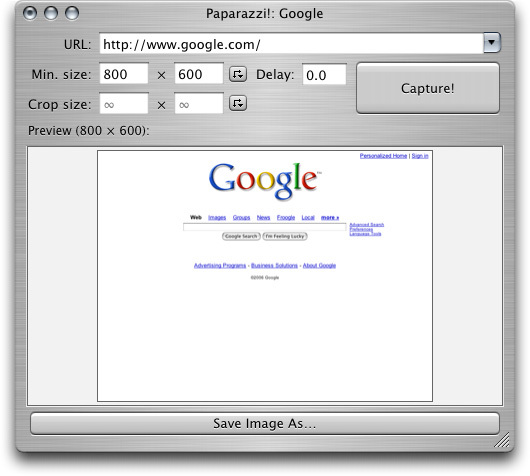 Paparazzi is a tiny tool that helps you capture screenshots of websites for Mac OS X users with nice tools in this one .